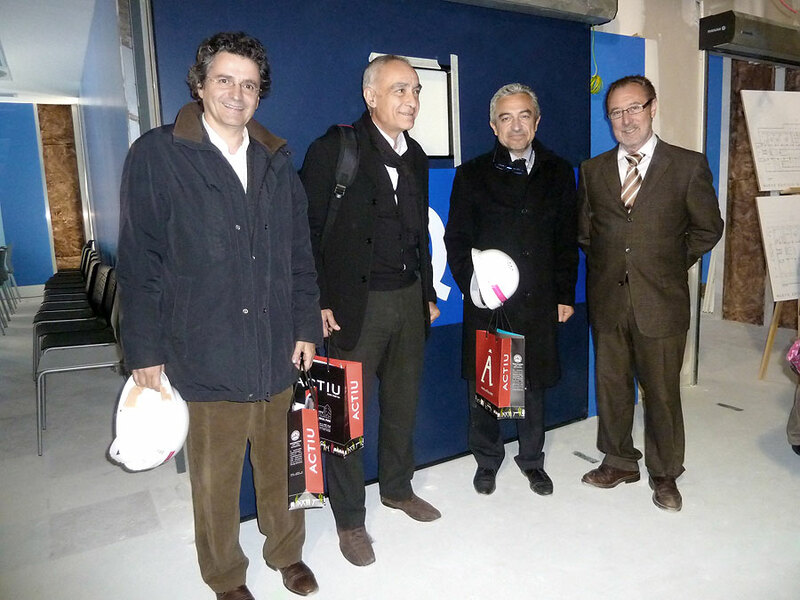 Go to Actiu honoured with the prize "Important 2011"
The architects Jose Maria Tomas Llavador, Felipe Pich-Aguilera and Wendelin Hinsch together with Professor Josep Lluis Barona, presented the new General Hospital in Valencia in the forum on Hospital Architecture sponsored by Actiu. 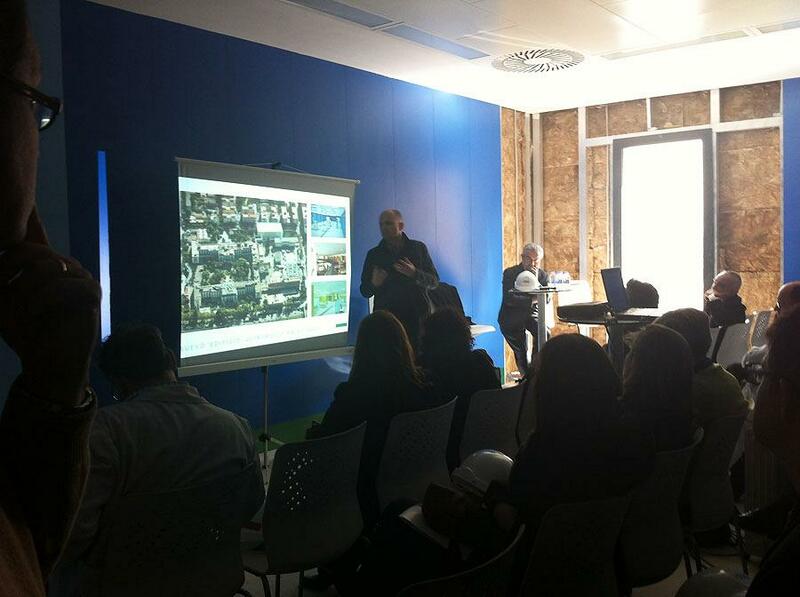 The meeting "Hospital Architecture, Functional and Technological Innovation" sponsored by Actiu , a company from Alicante, took place on 28 February, brought together architects Jose Maria Tomas Llavador, Felipe Pich-Aguilera, Wendelin Hinsh and the professor Josep Lluis Barona, History of Science starred in an unusual activity following a debate about hospital architecture in the future operating theatre under construction as well as a tour around the new surgical block of the General Hospital. 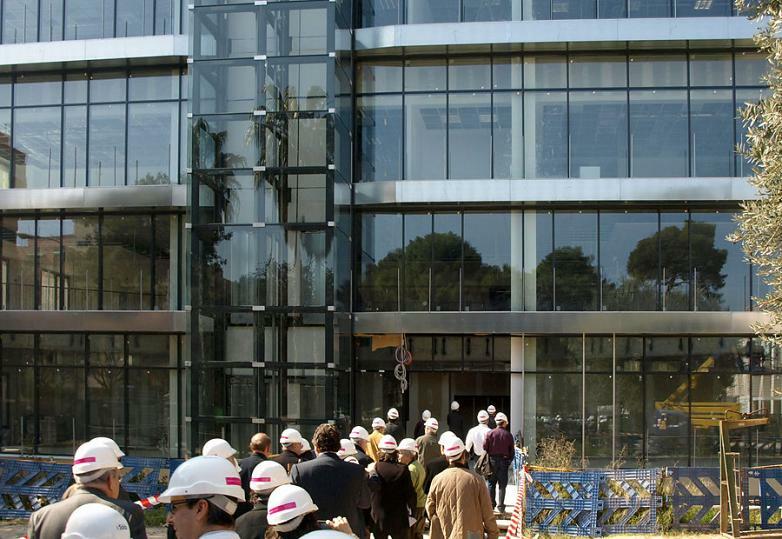 The activity, which was added to the College of Architects , programmed as a monthly visit in the diary, was attended by the architect Luis Sendra, president and founder of Actiu group, Vicente Berbegal, and the director of the Hospital Sergio Blasco, along with a large number of architects and health workers. 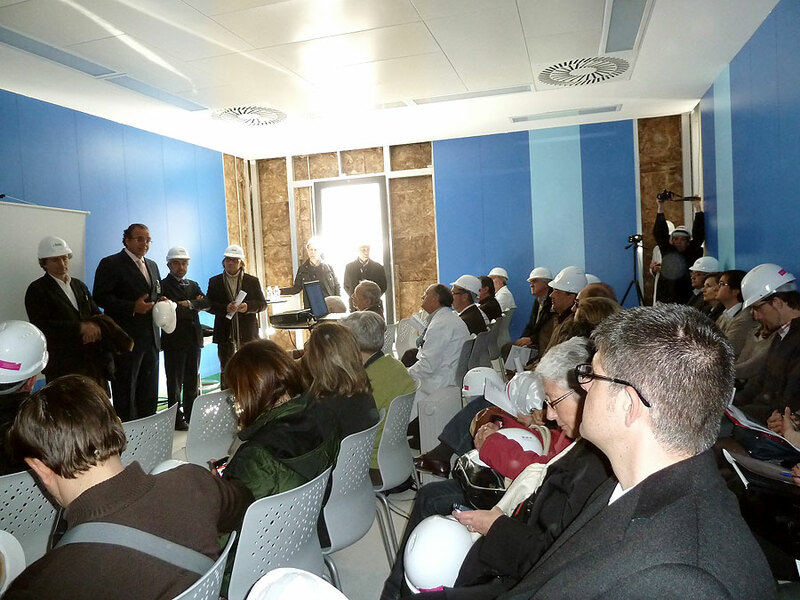 After the welcome ceremony, Sergio Blasco highlighted the uniqueness of this building that will come to unify the six surgical areas which are scattered throughout the hospital, becoming a benchmark for efficiency , future and welfare, for which they have adopted some really innovative solutions such as operating theatres with natural light. 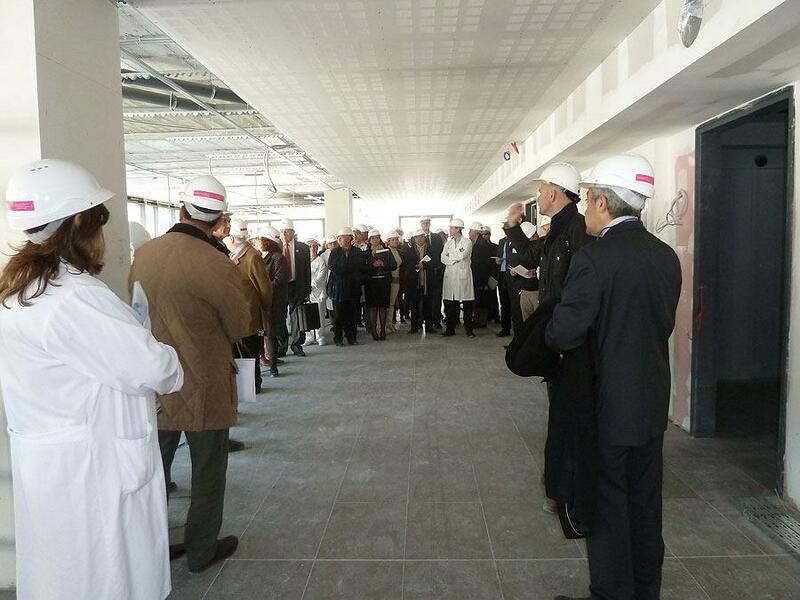 With respect to this , Wendelin Hinsch has highlighted the space distribution of the new surgical block, with an innovative layout, allowing the ICU to be close to the surgical area, shortening the internal pathways, for both staff as well as the patients, and shortening vertical pathways, that are minimal. 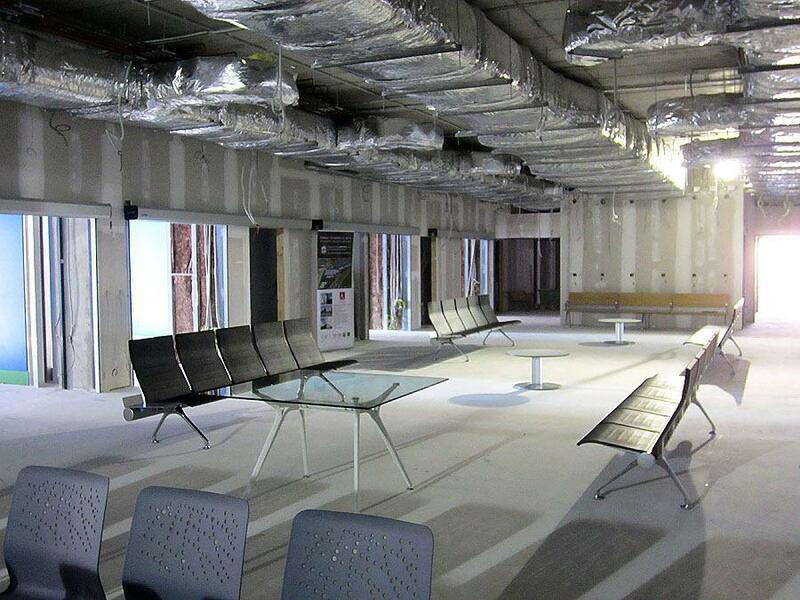 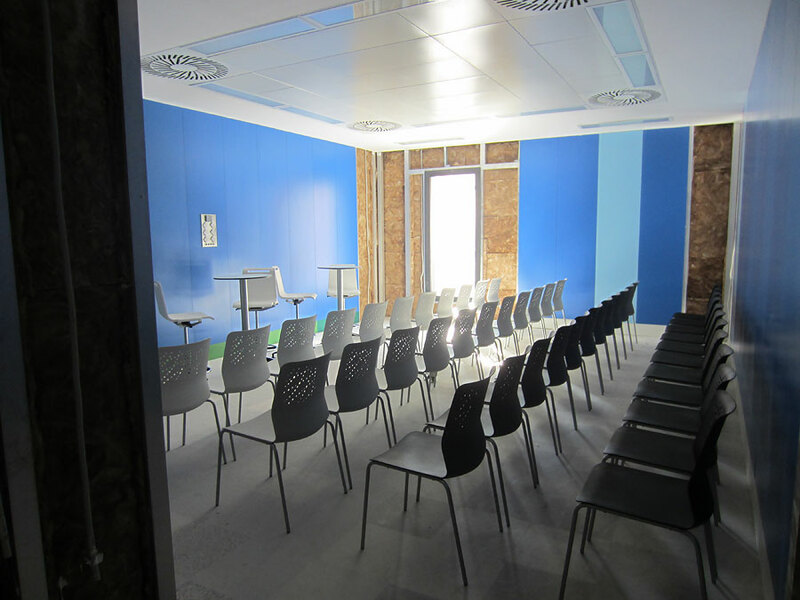 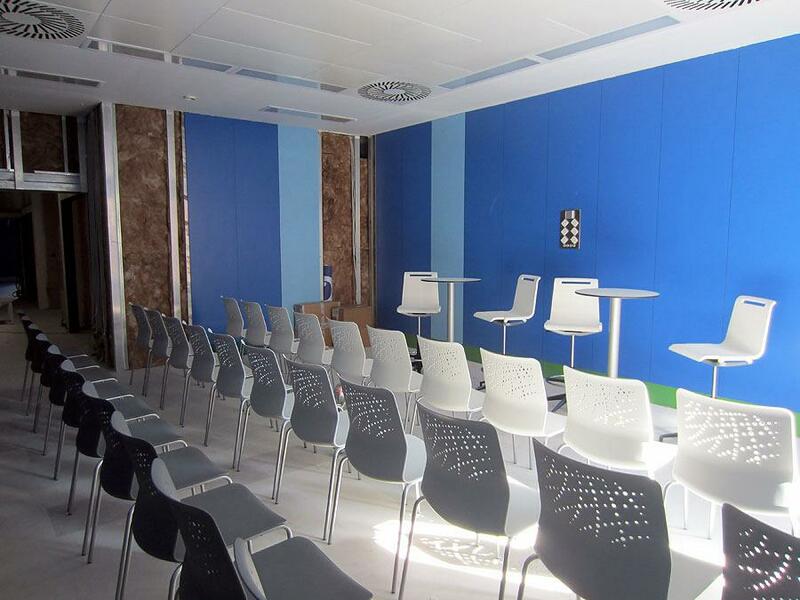 Actiu, a company that specializes in equipment for hospitals and work spaces, collaborated by equipping this forum, Jose Maria Tomas Llavdor showed his thanks for "dressing" this place in full force and converting it into a more friendly space and special for this occasion. 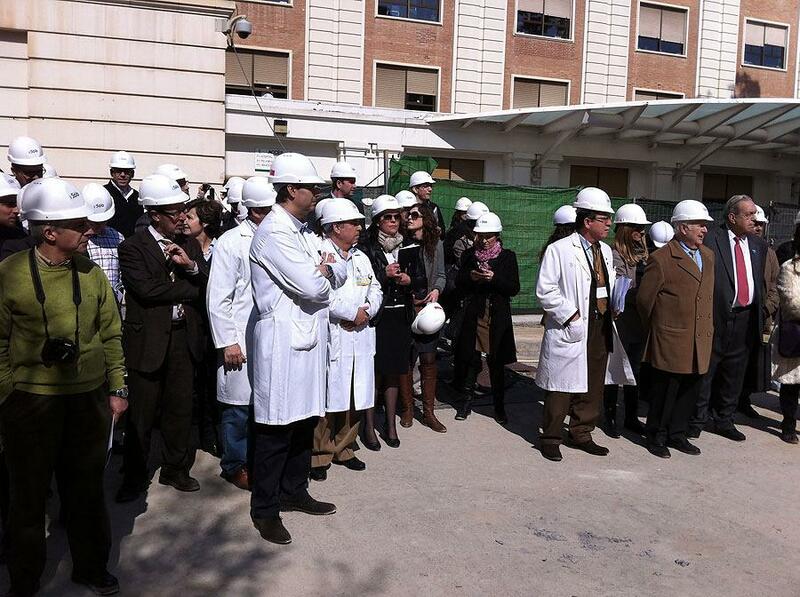 Amongst these works of reference that Actiu has equipped belonging to this sector, are hospitals such as the New Fe in Valencia, el Vall d’Hebron, Barcelona or the Virgen of Macarena, Seville, the new centre South Roquetas, the Hospital Sant Juan,Reus, the Hospital Mostoles, Sant Joan,Deu, Medima...or the Internatinal CHU ((Complexe Hospitalier Universitari) Nice, Anemasse, Draguinan, Leige and Bayona, the Breast Check in Irelan, SAAD Hospital in Saudi Arabia and the Hospital in Algarve, Portugal amongst many others.